About - The Penguin Entertainers Club Inc. 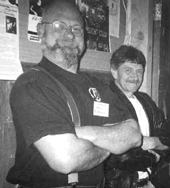 The initial concept of The Penguin Club was spawned in late 1990 by a collection of local musicians identifying a need for suitable practice rooms and somewhere to chill-out after gigs. Funds were raised by a gig at Five Forks hall by the local band ‘Ragz’ and a jam band of interested parties. The vast sum of around $150 was thereby accumulated to start the ball rolling. The Penguin Entertainers Club soon became a stage for touring alternative bands and musicians that other local venues were not prepared to book. The posters that adorn the walls attest to the many musicians that cut their teeth on the touring circuit to achieve fame in their own right. Their influence and the existence of this club have produced a wealth of talented musicians. The Penguin Club has become a tacit ambassador. Musicians from around the world now ask for the opportunity to perform here. They take back with them a positive response that will perpetuate the highest quality of performing arts in Oamaru. Internal construction of The Penguin Entertainers Club began with borrowed and acquired materials, straightened nails and severely diluted paint fortified by an abundance of enthusiasm. Working bee’s became a regular social event. The decor was a conglomeration of borrowed armchairs, sofas and corrugated iron. Wednesday nights became the first open stage jam nights and it was B.Y.O. A steady accumulation of funds allowed the construction of a basic bar. Haute’ cuisine was provided by Clark and Holdings pie cart parked at the entrance to fulfil the licensing obligations. Tales of those nights are still fondly related by founding members often with a glazed look and the tracks of tears. 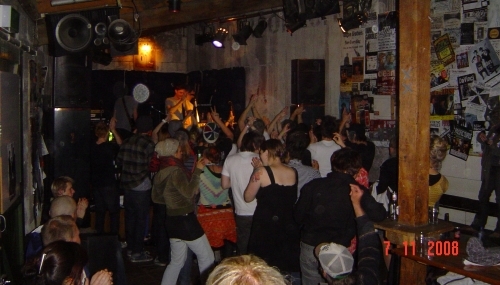 Friday night jams and regular shows of all genres are well attended by players and audiences alike who enjoy the unique atmosphere within these walls.